Mumbai: Newly published research shows regional climate variability caused an “unusual” period in which some of New Zealand’s glaciers grew bigger, while glaciers worldwide were shrinking. The research, carried out by scientists from Victoria University of Wellington and the National Institute of Water and Atmospheric Research (NIWA), was published in scientific journal Nature Communications. 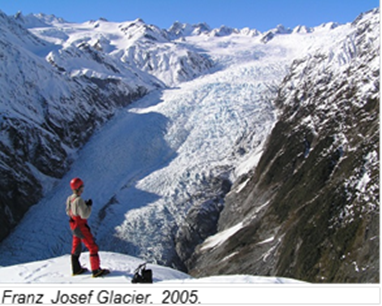 At least 58 New Zealand glaciers advanced between 1983 and 2008, with Franz Josef Glacier (KÄ Roimata o Hine Hukatere) advancing nearly continuously during this time. “Glaciers advancing is very unusual—especially in this period when the vast majority of glaciers worldwide shrank in size as a result of our warming world,” says lead-author Associate Professor Andrew Mackintosh from Victoria’s Antarctic Research Centre. Associate Professor Mackintosh says the climate variability, which includes the cooler years, still reflects a climate that’s been modified by humans. “It may seem unusual—this regional cooling during a period of overall global warming—but it’s still consistent with human-induced climate change. The temperature changes were a result of variability in the climate system that’s specific to New Zealand. The study, funded by a core NIWA project ‘Climate Present and Past’, used computer modelling to understand the drivers of glaciers. The model was tested using more than a decade of field observations of glaciers in the Southern Alps, and a 30-year record of glacier photographs from the NIWA ‘End of Summer Snowline’ programme. Victoria University’s Dr Brian Anderson and NIWA’s Dr Andrew Lorrey were also lead authors on the study. 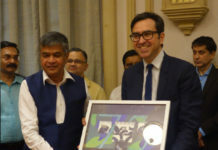 Other authors include Professor James Renwick from Victoria’s School of Geography, Environment and Earth Sciences, Dr Sam Dean, chief scientist for NIWA’s Climate Atmosphere and Hazards Centre, and visiting student Prisco Frei from ETH Zurich. Associate Professor Mackintosh says although glaciers advancing sounds promising, the future “doesn’t look good” for New Zealand’s glaciers. “Franz Josef Glacier has already retreated more than 1.5 kilometres since the end of the advance in 2008.